If you were given a chance to be a part of something bigger, a mystery that promised adventure—would you go for it? Would you take that chance, even if it seemed like a long shot? 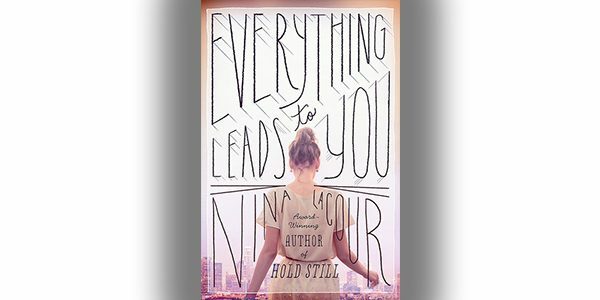 In Nina LaCour’s novel, Everything Leads to You, Emi is a recent high school graduate and a talented young production designer whose given one of those chances; the kind that may lead to nothing, but could very well be everything. Discovering a mysterious letter at the estate sale of a famous Hollywood star, Emi and her best friend Charlotte decide to follow where the letter leads, hoping to solve a puzzle and make the most of their time together before they head off to different universities. The friends are also given a surprising gift from Emi’s older brother; freedom to use his Los Angeles apartment while he’s gone. The only catch is they have to do something epic with it. Which can be harder than you think. Epic is a tall order. After another breakup with her on-again off-again girlfriend, Emi is looking for something to distract her from the heartbreak. That can be tough though when you happen to work with your ex. But new love has a way of healing our pain and Emi soon finds new people and projects in her life that make her believe she can pull of something spectacular and make the summer count. One of these new people in Emi’s life is Ava, a mysterious girl with a complicated past, who needs something new in her life just as much as Emi does. They’re both trying to navigate their changing lives and draw closer and closer to one another, despite the obstacles that could tear them apart. Emi’s story is one that each of us can relate to: whether it’s moving on from old relationships, figuring out what to do after high school, or taking a risk when it comes to our dreams—we’re each trying to find our way and as Emi discovers, sometimes it’s worth taking a chance on the impossible, even when you don’t know where it will lead.